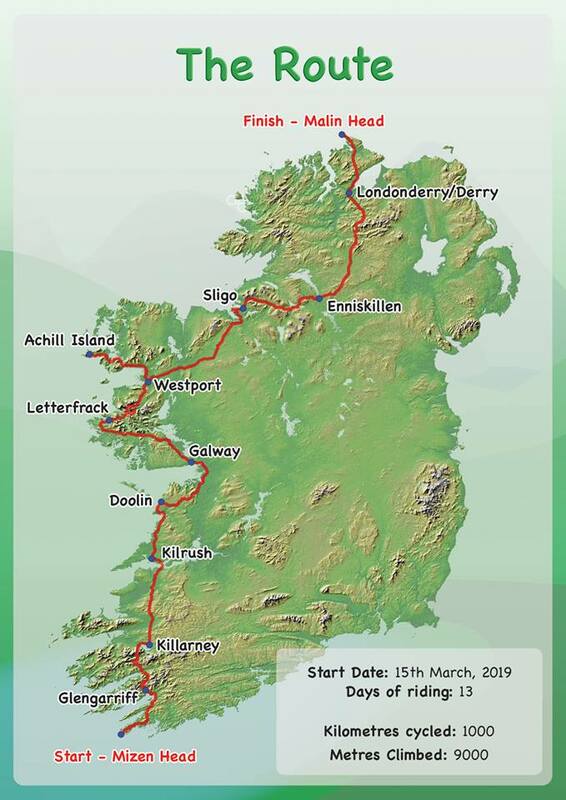 The cycle is under way and has left Mizen Head yesterday. Follow Sam’s progress here. 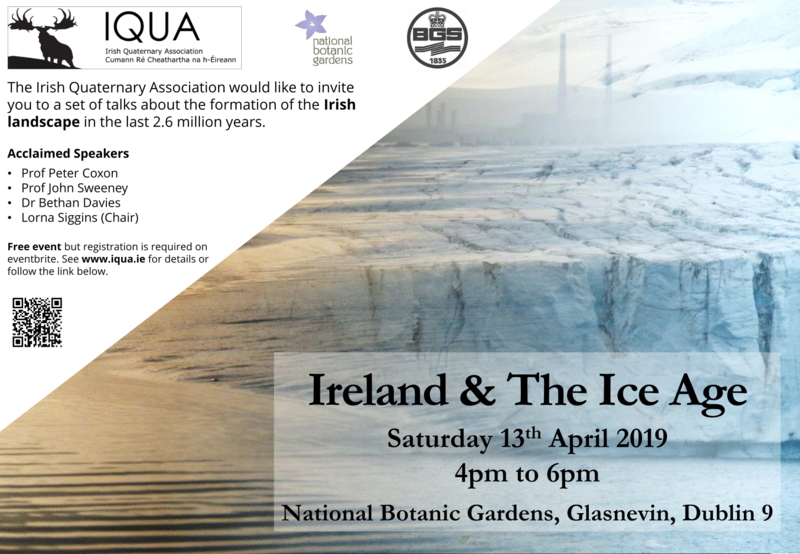 IQUA is delighted to invite you all to our upcoming public event; a set of talks for the general public on Ireland and the Ice Age. The event will take place on Saturday the 13th of April 2019 from 4 to 6pm in the auditorium at the National Botanical Garden in Galsnevin, Dublin. The seminar will be chaired by the acclaimed journalist and author Lorna Siggins and will feature talks catered for the general public. Prof Peter Coxon from Trinity College Dublin will talk about the Irish Landscape before the Ice Age and the changes that occured because of it. Prof John Sweeney from Maynooth University will delve into the evolution of the climate that triggered and followed the Ice Age. Dr Bethan Davies of Royal Holloway University in London will explore the importance of teaching the events of this time period, the Quaternary, and the influence it has on our modern world. 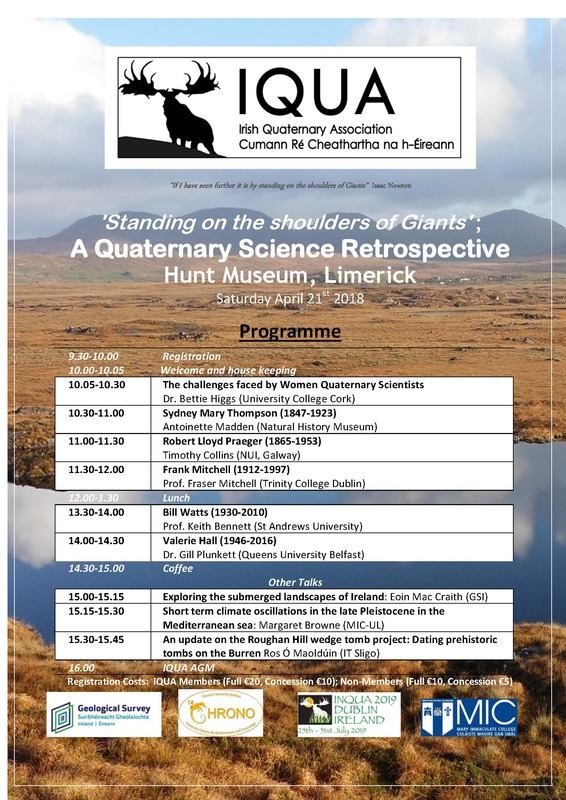 The seminar will also feature the official launch of a new IQUA booklet entitled “Giants of Irish Quaternary Science“. This publication contains profiles of a cross-section of scientists who made seminal contributions to the understanding of the Quaternary landscapes of Ireland. An associated pull-up banner exhibition on 10 of these figures will also be launched and on display. This is a free event but registration is necessary due to limited places. To register please click here. Associated with this event, a tour of the Herbarium in the Botanic Gardens by Dr Colin Kelleher will take place at 2:30 pm and will be repeated at 3pm. The visit will focus on Alpine species of Ireland and their arrival in Ireland after the Ice Age. The visit will only cater for a limited number of people and will operate on a first come first served basis. For those interested, please meet 5 minutes prior to either of the tour by the cafe entrance outside the visitor reception area. Heritage week (18-26 August) is fast approaching, and there are a number of Quaternary-themed geological events, and events run by members of IQUA. For full details please see https://www.heritageweek.ie/. .
IQUA news – after 21 years we are going back to the Midlands on the weekend 14th to 16th September. Regulation around exploitation has given us a rich source of new palaeoecological and archaeological data. Add to this spectacular glacial geology and the outstanding medieval architectural heritage of north Co Offaly…. 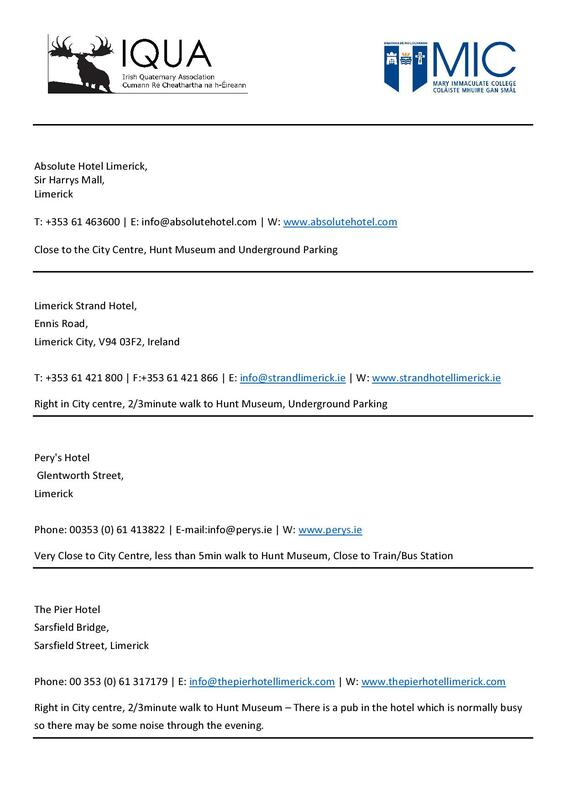 and you get about half of what’s happening on this trip, see draft itinerary below for more. The other half is about a very special site called Derragh, located where the river Inny flows out of Lough Kinale. We’re in for a treat here with a plethora of environmental proxies from this one area. See the context of the Discovery Programme site below. We are basing ourselves for both Friday and Saturday nights in the Greville Arms hotel in Mullingar phone 044 934 8563. The rate is: €139 per person sharing for 2 nights B&B and 1 dinner (i.e. €278 total for two people in a double room, with dinner for both on Saturday). There is a single supplement supplement of €15 on this. The prices without dinner are somewhat less keen but you should still ask for the special IQUA rate. The Friday evening seminar talks will be in the hotel but of course you are not obliged to stay there. There are quite a number of other options in town. More details towards the end of the summer. The Lough Kinale/Derragh area was studied by the lake Settlement Project of the Discovery Programme between 2002 and 2005. One module of this project was a multi-proxy environmental research project (2002 and 2003) in collaboration with the Palaeoenvironments Research Group at the University of Exeter. 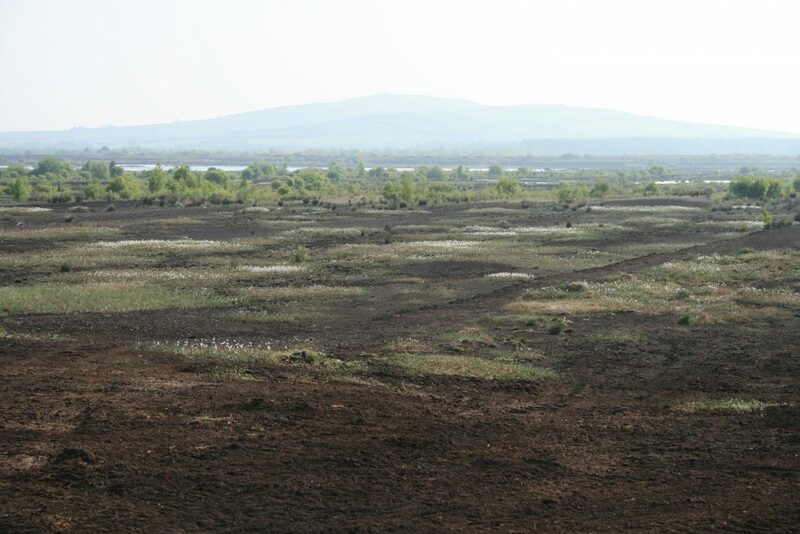 The research focused on the history of three crannogs and the general landscape through extensive coring of Lough Kinale and Derragh Lough, and a raised bog separating Derragh peninsular from the mainland. During fieldwork in 2002, Mesolithic and Neolithic lithics were found close to the outlet of the River Inny on the Derragh peninsular. This led to excavations between 2003 and 2005, which exposed a platform area that was used for multiple purposes. Various organic materials including bones and wood, and lithics were subsequently analysed. 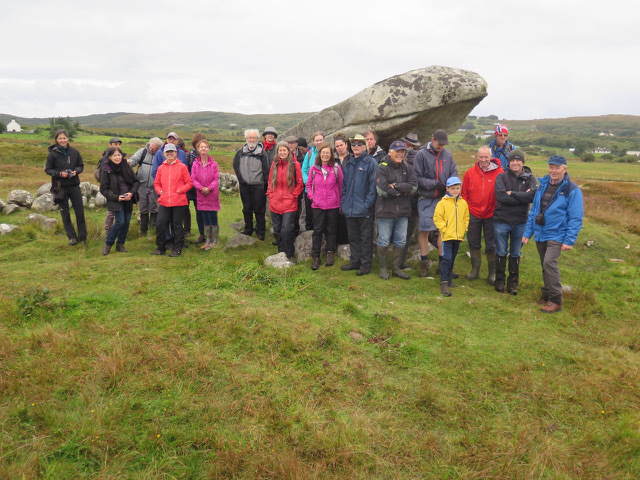 The IQUA fieldtrip will visit the general area and in particular the Derragh peninsular and the site of the excavation where some of the environmental results will be presented. 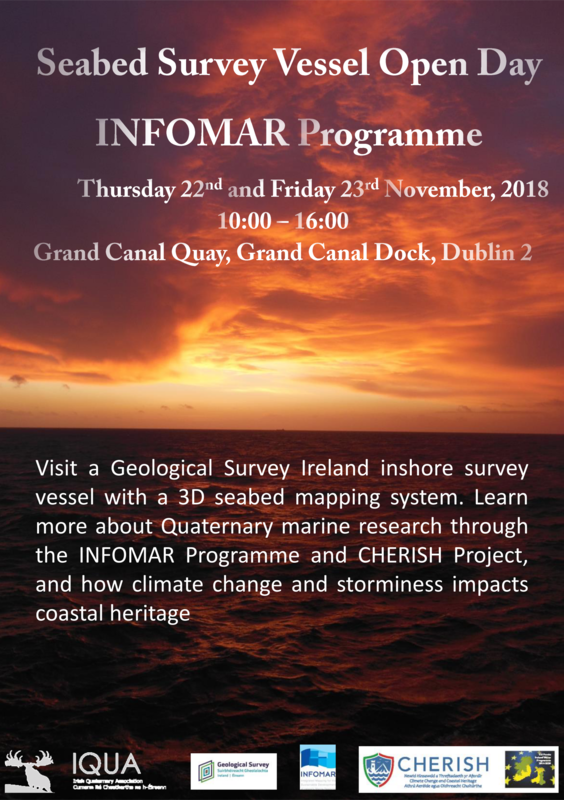 IQUA are planning on a range of new initiatives this year, the first of many in the lead up to INQUA 2019 (www.inqua2019.org/). Our spring meeting is generally focussed on postgraduate research – so we would also like to invite postgraduates who would like to make a presentation (oral or poster) to let me know (catherine.dalton@mic.ul.ie). IQUA has applied for funding to translate these talks into a pull-up banner exhibition and a booklet to be published by IQUA. We are seeking further expressions of interest from IQUA members for a range of other written contributions. Quaternary scientists included in the booklet paper should have carried out Quaternary-related research in (or relevant to) Ireland, but do not necessarily need to be from Ireland. We propose include papers between 500-1000 words in length to maximise the range of individuals included in this booklet. Author guidelines will be forwarded to contributing authors. Can I encourage IQUA academic members to encourage your postgraduates to suggest and prepare contributions on key individuals. Please send your suggestions to catherine.dalton@mic.ul.ie or eocarro@tcd.ie or mcglyng@tcd.ie by April 1st 2018. Deadline for submissions of papers will be June 30th 2018. This year IQUA has convened a session at the upcoming Conference of Irish Geographers (CIG) taking place in Maynooth university from the 10th to the 12th of May 2018 (http://www.conferenceofirishgeographers.ie/). Below are the details of the session and information about abstracts submissions (deadline: 30th of March 2018). 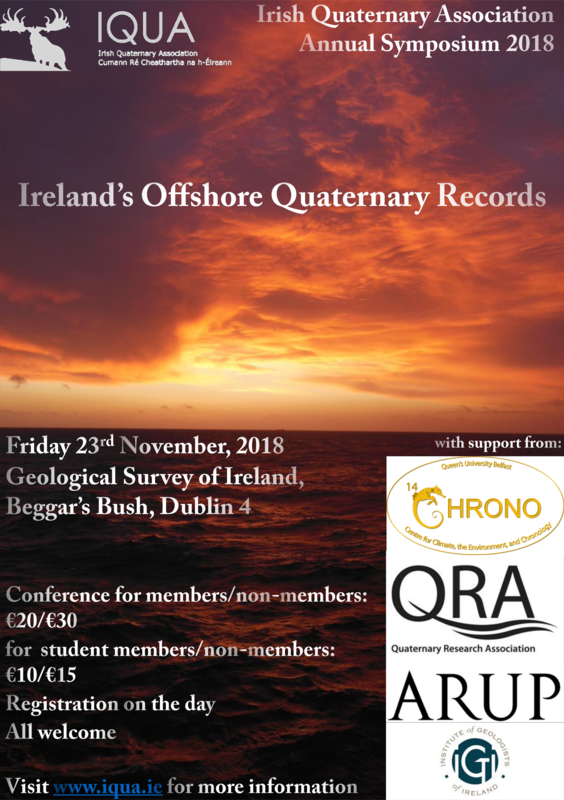 To tie in with the recent release of Advances in Irish Quaternary Studies and the approaching INQUA2019 conference to be held in Dublin this session will consider how the Irish landscape changed during the most recent period of Earth’s history; the Quaternary. The Quaternary refers to the last 2.6 million years. Quaternary studies are multi-disciplinary in nature and provide a critical long-term perspective that offers fascinating insights about the early Irish landscapes and culture. Research in this area includes the study of on and offshore glaciation and deglaciation in Ireland, reconstructing landscape development, quantifying past climate change and extreme weather events, uncovering the arrival and development of human civilisation and visualising the expansions and declines of Irish flora and fauna populations over time. 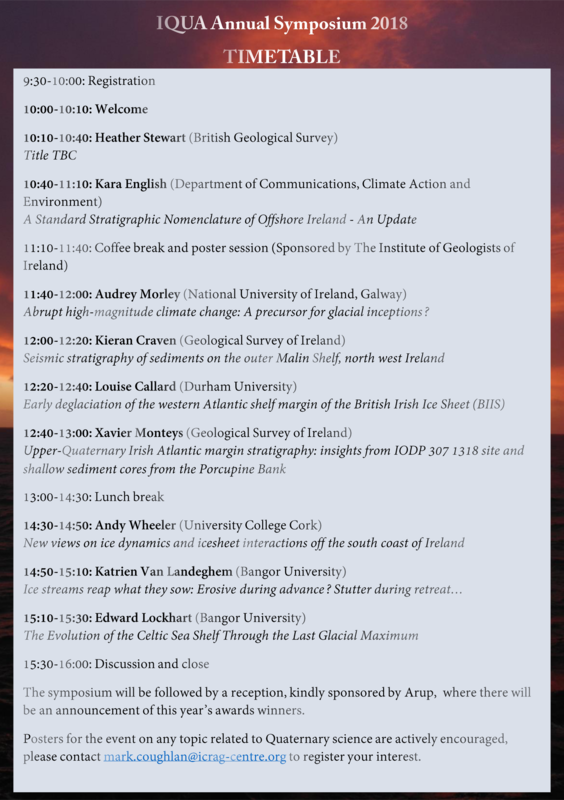 This session will highlight the vast range of ongoing Irish research that provides unique insights into climate and landscape change over the last 2.6 million years, providing critical information on past and present Earth processes from a uniquely Irish perspective. To be part of this session, please send abstracts of no more than 250 words to martha.coleman@mu.ie and amcgeeve@tcd.ie by 16 March 2018. This year we enjoyed a beautiful few days in Southwest Donegal. Yet another very well attended IQUA fieldtrip with 35 attendees making the trek northwest. A packed agenda meant that a few sites had to be dropped but we still managed to see the Derryness submerged forest, Inishkeel, Cloghanmore Court Tomb, a Station and Souterraine at Turas Colmcille, and the spectacular Sheskinmore Nature Reserve. The IQUA committee wish to thank all the speakers. Thanks in particular to Malcolm and Ellen for organising such a memorable weekend.